You are here: Home / All categories / Let It Snow! Ah, it’s January and here in our part of the Midwest we have yet to see a significant snow. I guess I’ll just have to read some books about snow to tide me over and help me dream of a winter wonderland. 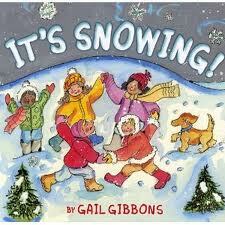 Here are a few of my favorite fiction and non-fiction snow titles. 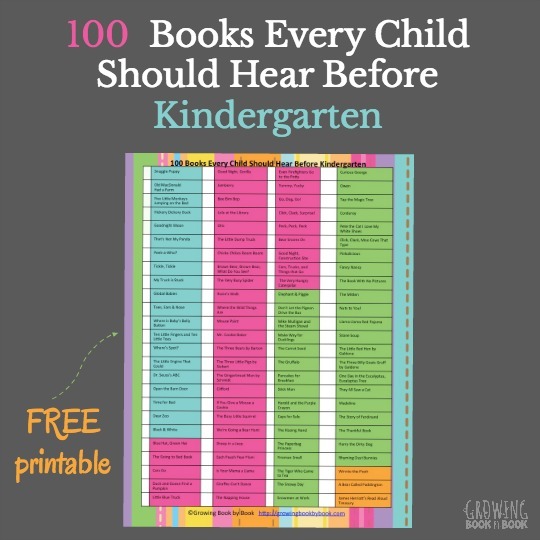 Some are classics and some are new-found reads. Oh, and a bonus snowman bookmark idea that I originally saw on Pinterest. By the way, did you see that you can now follow me on Pinterest? 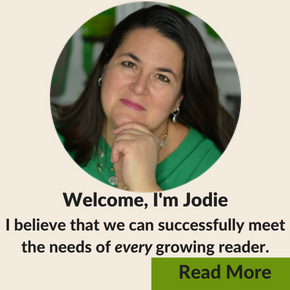 Just click the little red button on the right side of my home page. Red Sled by Lita Judge is such a cute almost wordless book. A sled is left outside a cabin where some creatures borrow it to go exploring in the snow. I love when the pictures and your imagination have to create the story. Check out the book trailer below. 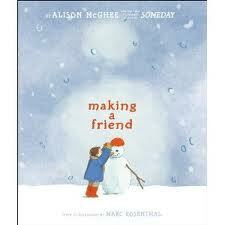 Making a Friend by Alison McGhee tells of the changes a snowman deals with as the weather warms. These changes include melting and turning to fog only to return as snow again the next winter just in time to build a new snowman friend. The Snowy Day by Ezra Jack Keats is a classic wintertime story. This story is celebrating it’s 50th anniversary this year. Peter explores a fresh snow packed outdoor world and even tries to keep a snowball in his pocket for another day. Watch and listen to the book being read in this clip from YouTube. 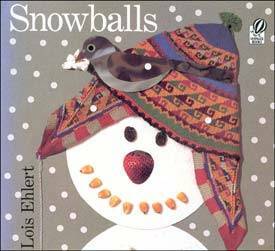 Snowballs by Lois Ehlert is a beautiful book that shows that your imagination + found objects + packed snow= a whole snow family. I just love Lois Ehlert’s work. Snowflake Bentley by Jacqueline Briggs Martin is a Caldecott winner from 1999. The beautiful woodcut illustrations help to tell the story of the first scientist who captured pictures of snowflakes which led to the discovery that no two snowflakes are alike. To keep your place in all of your new snow books, you will need a snowman bookmark. 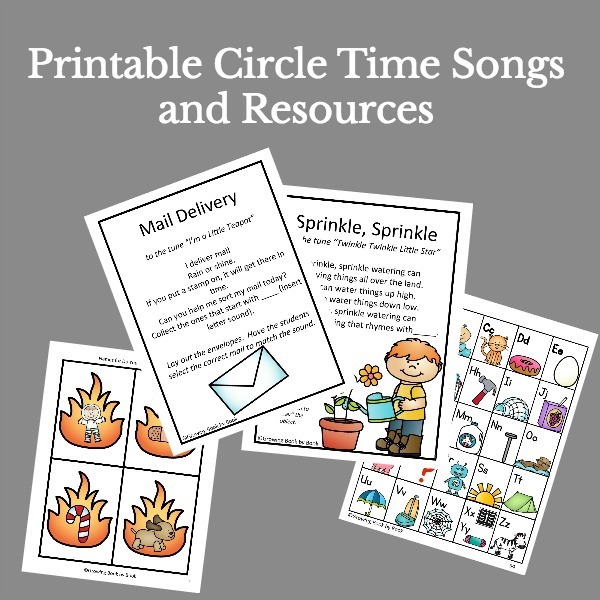 I love this activity because the bookmark is made with recycled materials. 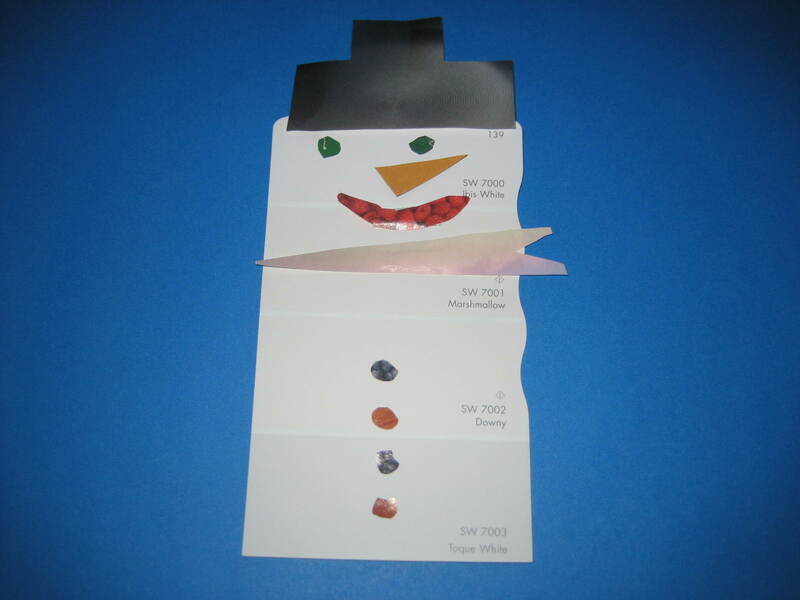 Here are the materials you need for one snowman bookmark: one white paint strip sample, an old magazine, pair of scissors and a glue stick. Simply cut a hat, eyes, nose, mouth, scarf and buttons from a magazine. Glue the pieces onto the paint strip sample. My picture doesn’t show the bookmark laminated, but I highly suggest doing so for durability purposes. There are so many literacy things that you could do with your snowman if you decided not to use it for a bookmark. One idea (pictured below) would be to use it for a labeling activity. You could also give your snowman a name and create a character description of him followed up by an oral or written story about him. 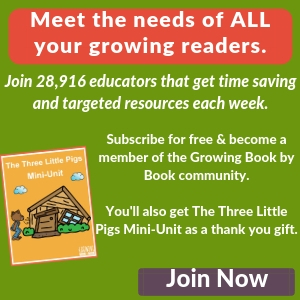 Interested in some other snow literacy ideas? Head to my snow Pinterest page. 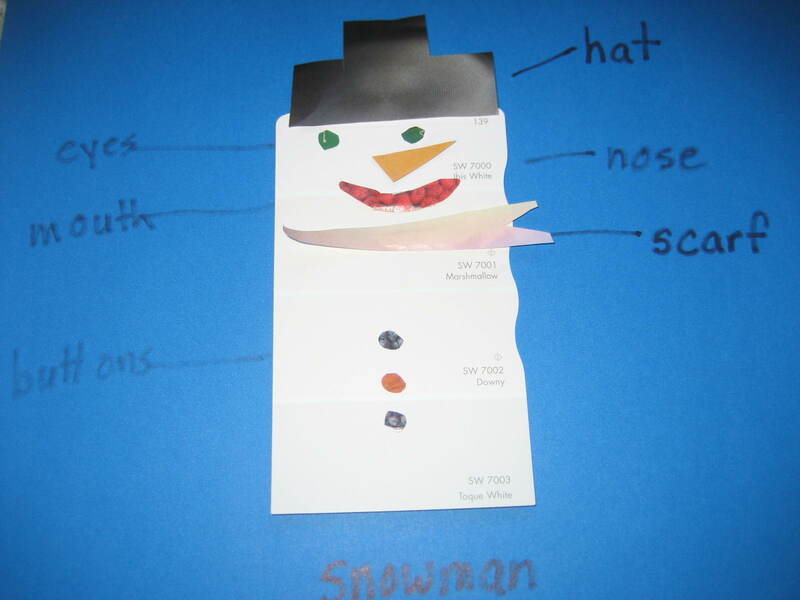 Can you think of other literacy ideas to do with your snowman creations? Please share! Let it snow! Let it snow! Let is snow! What fun! I love the videos as well as the book. Thanks for sharing your book recommendations! I would love for you to link up at my TGIF Linky Party – http://livinglifeintentionally.blogspot.com/search/label/Linkey%20Parties – I know my readers would love it too! Thank you for sharing some classic and new snow books. I loved the snow as the kid, so Keats classic trailer was a nice reminder of things we did as kid — followed by hot chocolate at home. I really like your snowman bookmark activity. Very creative and fun for kids. Thanks for the book trailers. One book I like for Janurary is called “Snowmen at Night”, in which the snowmen come alive after dark and have a neighborhood party- sliding down the street, sledding down a hill, drinking hot chocolate, having snowball fights, etc. One year after reading the book to my first graders, we went outside and acted out the story in the neighoborhood around the school. They had a great time being the snowmen characters and making “Snowmen at Night” come alive.